A person might also develop an infection in the socket after the surgical extraction of the tooth. This usually happens about 2 – 4 days afterwards and one knows of it from the deep-seated throbbing pain, the bad breath that the person emits and the perpetual unpleasant taste left behind in the mouth. Dry socket is a painful tooth extraction complication. 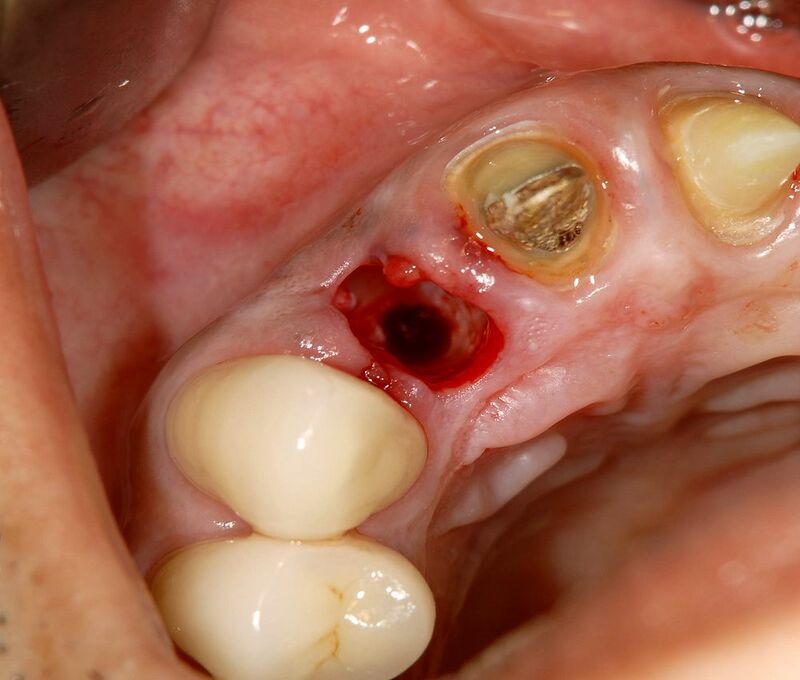 This kind of an infection is more bound to happen if a person smokes, use Contraceptive Pills or are on drugs such as steroids or if the bone cutting is done during the tooth extraction.